My contribution to Norm’s Thursday Doors. a spectacular shading of weathered blue…and a nice contrast between the lines of the garage doors and the building above them. 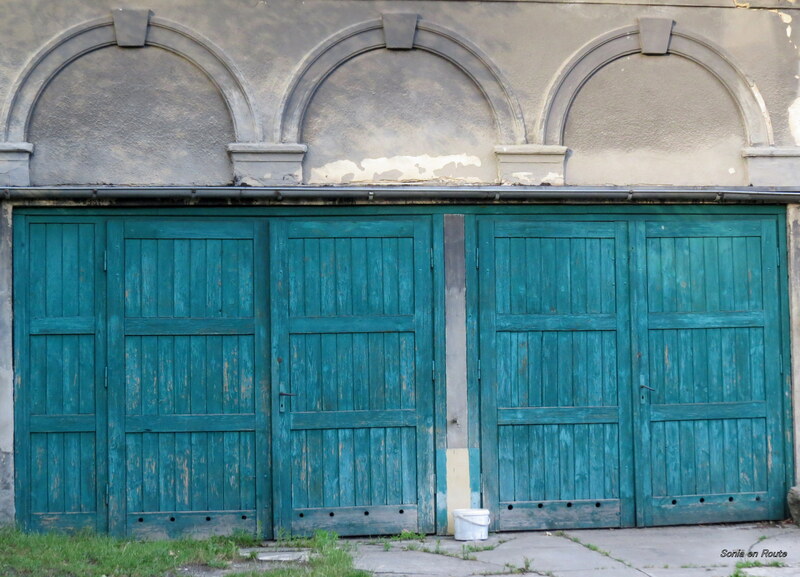 I noticed that too 🙂 If I did not it was taken in Poland, the arch detail above the door would suggest to me some southern country. Oh do I like your doors this week. 😀 Thanks for playing.